Managing Director and Clinical Director of The Oxford Development Centre Ltd.
Chartered Consultant Clinical Psychologist Dr Claudia Herbert has earned an international professional recognition for her wide-ranging expertise and astute psychological insight. Her natural intuition, deeply attuned understanding, clarity and warmth are central to her approach. I founded The Oxford Development Centre in Witney, Oxfordshire in 1997 to provide the special care, safety and sensitivity which people suffering from psychological problems need. With over 20 years’ clinical experience and a specialism of working with clients from multiple trauma backgrounds, I wanted to build a centre of excellence with like-minded, enthusiastic and forward-thinking colleagues to offer a unique approach to help people heal, transform and grow. Rather than confining treatment to single, standard methods my aim was to develop a more holistic, integrative, client-centred approach which involves creating a bespoke plan of care for each individual drawing on the most modern, science and research-based therapies available. This spans elements from CBT 3rd Wave, including Schema Therapy and Mindfulness and Transpersonal and Depth Psychology, to body-oriented psychosensory therapies such as EMDR, Sensorimotor Psychotherapy, Comprehensive Resource Model, Calatonia, Havening Techniques®, Craniosacral Therapy and Energy Psychology. In practice, this means finding the most experienced, able and dedicated consultants who share my vision and feel committed to keeping abreast of all the latest scientific developments. We all undergo regular professional training and work on our own personal development to ensure we are qualified to deliver the most advanced psychological approaches available. Claudia won a number of academic awards for her research and obtained a First Class Honours degree in Psychology from University College London (1989) before continuing her training at Master’s and Doctoral level in Clinical Psychology (University College London and Oxford Clinical Psychology Course). In 1992 she undertook specialist training in the assessment and psychological treatment of people suffering from Posttraumatic Stress Disorder (PTSD) at the Traumatic Stress Clinic in London working with survivors of the Kings Cross fire, the Marchioness disaster, the IRA Victoria Station bombing and the Gulf War. Claudia is an Associate Fellow of the British Psychological Society, an HCPC Registered Chartered Clinical Psychologist, a UKCP and BABCP Registered Cognitive Behavioural Psychotherapist, an EMDR Europe accredited EMDR Consultant and EMDR child and adolescent consultant, an ISST Registered Schema Therapist. She is also an Applied Psychology Practice Supervisor (RAPPS). She works within a holistic framework and, where appropriate, embeds in her work approaches from various healing and spiritual traditions around the world. She is a member of the Transpersonal Psychology Section of the British Psychological Society. She is very interested in body-focussed approaches and energy psychology and is trained in Re-Connective Healing Levels I, II and III, Calatonia and Anger Completion Therapy. She has also trained in Havening Techniques and Comprehensive Resource Model (CRM) and Action & Body Oriented Trauma Work. Claudia has worked extensively with personnel from the UK police, emergency and armed forces (including the Royal Air Force and the Royal Navy) and private security and diplomatic services. 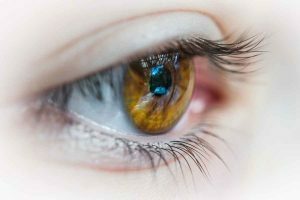 She was trained in an EMDR-based method of Traumatic Incident Reduction Debriefing by Dr Roger Solomon in London in 1999 and has since supported organisations to help them deal with the effects of critical incidents on their staff. She has also worked with victims of homicide and was invited in 2001 to give the memorial speech for victims of homicide at the church of St Martin’s-in-the-Field, London. Since 1994, Claudia has been working as an organisational consultant delivering tailored, high-level and top executive development programmes to private and public sector organisations in a variety of markets including financial services, insurance, leisure and manufacturing. 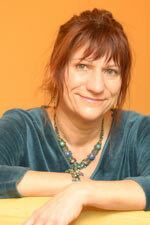 She founded Psychology for Business as part of The Oxford Development Centre in March 1998. 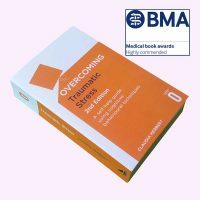 Claudia wrote the first self-help trauma book by a healthcare professional in the UK (shortly to be released in a revised and updated edition). She has written several books and book chapters which have been translated worldwide and she has lectured and delivered keynote speeches, workshops and training internationally. She is frequently consulted by the media on a number of professional issues including trauma-related problems, psychological problems in the workplace and lifestyle issues and has featured in articles, TV and radio broadcasts.